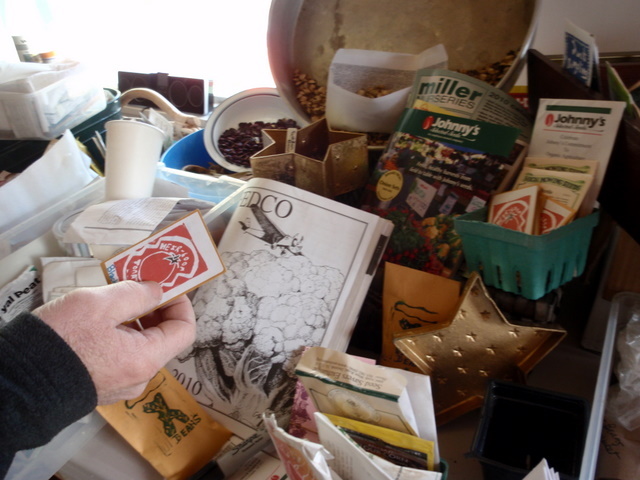 Planning the Garden – Maine. Ocean. Camping. It’s not 10 degrees above zero and Steven’s been planning the garden for the past two days. 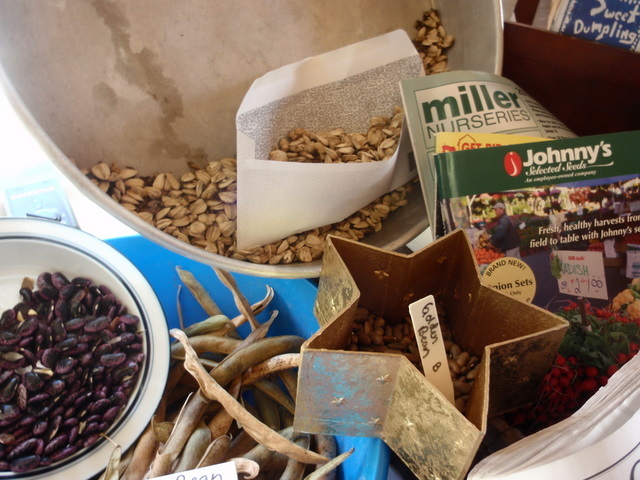 He’s done the seed inventory, ordered a ton few more from Fedco and Johnny’s and started the walla walla, red bull, clear dawn, and alisa craige onions (not to mention the prisma shallots) in the sunny window downstairs. This year we’ll have plenty of garlic again, new to us varieties of potatoes (desiree, german butterball, green mountain and red pontiac…and banana fingerlings)…all chosen because they taste great and store well and we enjoy them until we start harvesting spinach and salad greens in April. There’s also a plan for a plot of heritage wheat because it’s pretty, the goats like it and Steven continues to dream of building the bread oven in the garden. As usual we’ll have a vast variety of vegetables and flowers all over the campground. 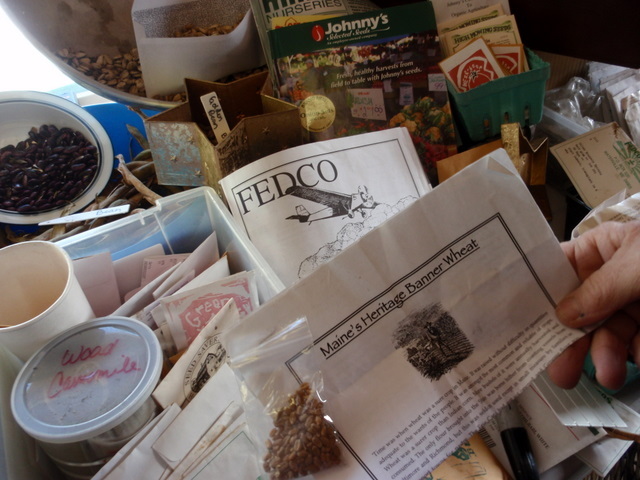 There are also plans for an educational seed saving garden too…so maybe, if the gods of weather are with us, we’ll have a fresh vegetable stand by the waterfall this year…all fertilized from the seaweed off the beach. Me, I’m playing with my wool by the fire until March.